The first half of this year belong to the PSP. 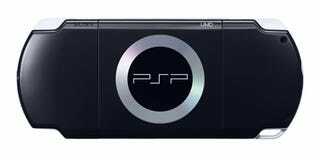 According to Famitsu publisher Enterbrain, the PSP moved 1,964,461 units, while the Wii was hot on its heels with 1,720,263 units. Rounding out the top three was the Nintendo DS, selling 1,593,844 units. Now that Monster Hunter Portable 2nd G has been out for three months, we'll have to wait and see if the Sony portable still has enough steam to snag the second half of the year.